We expected our visit to Halkyn to be brief and unsuccessful, but it turned out that we spent well over an hour wandering around this fascinating and haunting location. Halkyn Old Churchyard lies about 100 yards from the new St Mary’s Church in Halkyn, new in this case meaning that it was built in around 1880. Unusually the new church was built at a different location to the existing village church. The earlier church, built in 1745, was small, the village grew rapidly during the 19th century following the development of an important lead mining industry in the area. It maybe that the footprint of the old church was too small to hold a new church of sufficient size for the increasing population and thus it was necessary to build the new church away from the original site. 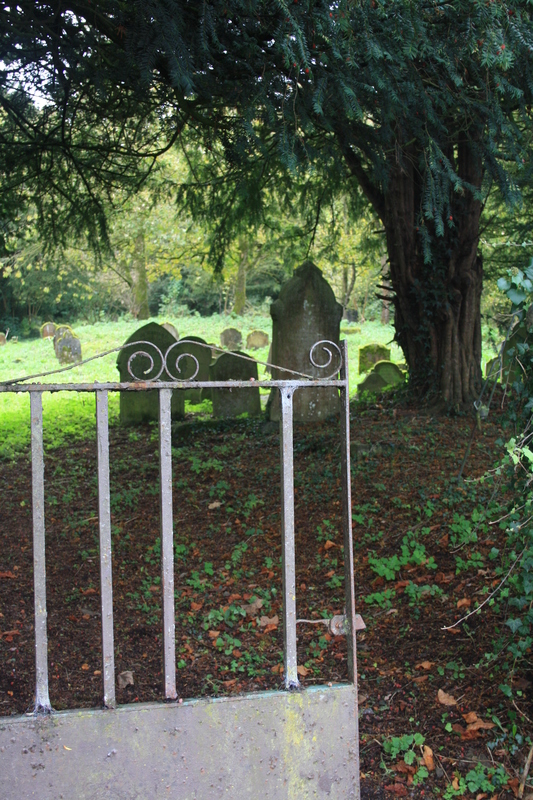 What remains at the old churchyard is a roughly rectangular mound in the centre where the church would have stood, and the graveyard attached to the church, frozen in time with the last burials made there in the 1870s. It is a large site, and many of the graves are remarkably well preserved, with many inscriptions legible from the mid eighteenth century. 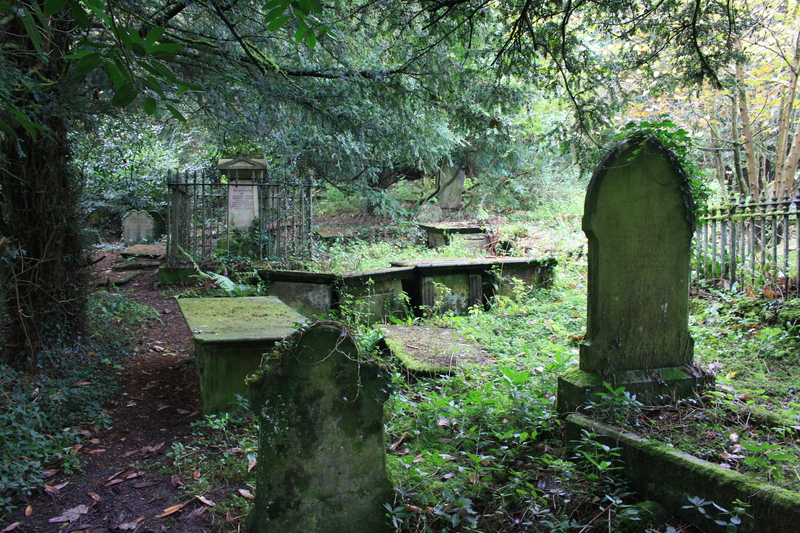 Clearly it isn’t completely untended, as it is possible to walk through it, but it was severly over grown, with graves and memorials half hidden in an undergrowth of long grass, ferns and brambles. A number of yew trees remain which would have been there at the time of the original church. We searched in the southern corner of the churchyard for these cemented flags, which have also been described as “possibly old gravestones”. 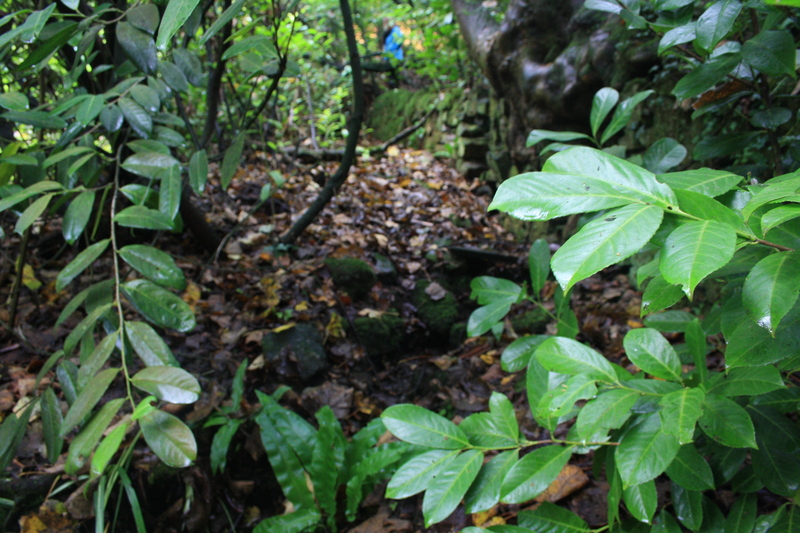 What we did find was a significant hollow in the ground in an area devoid of gravestones. 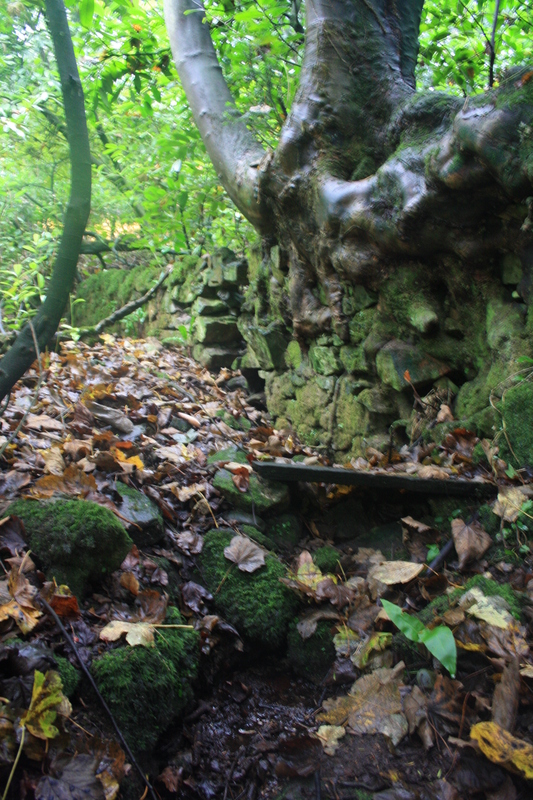 At this location a small spring bubbles up, on the outside of the churchyard wall, into the grounds of neighbouring Halkyn Castle. 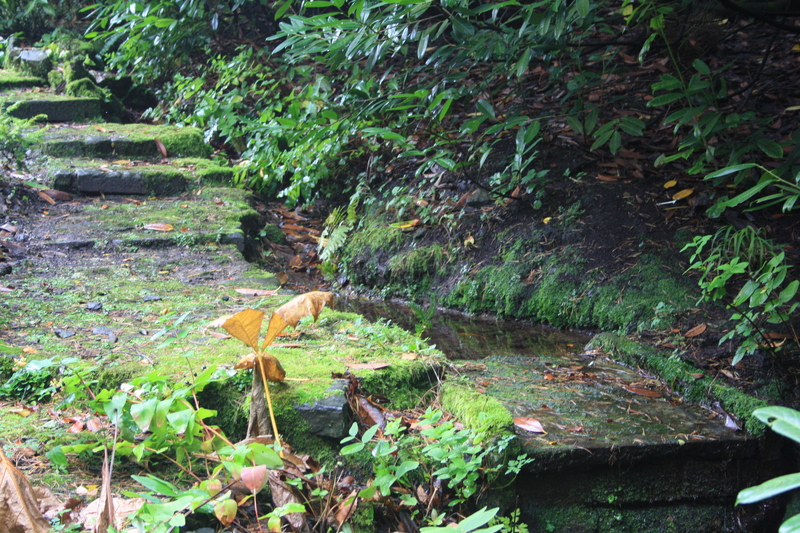 In a heavily landscaped area of the castle grounds this spring forms a small stream which runs for about 10 to 20 yards before falling into a pond. 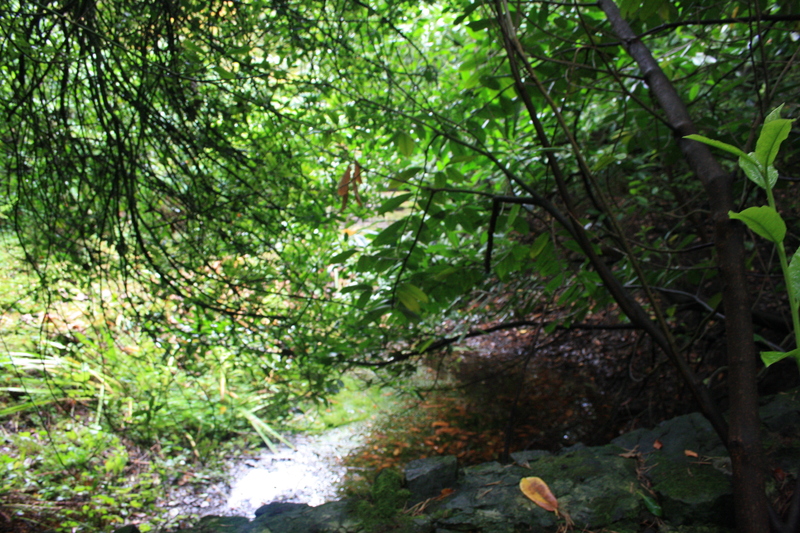 The sides of the stream are flagged with large stones, at least one of which appears to be a reused grave stone. Is this just a coincidence, or has Ffynnon Fair been relieved of its duties of supplying neighbouring houses and is it once again flowing freely through the grounds of Halkyn Castle ? We should certainly like to think so. That was very interesting thank you. 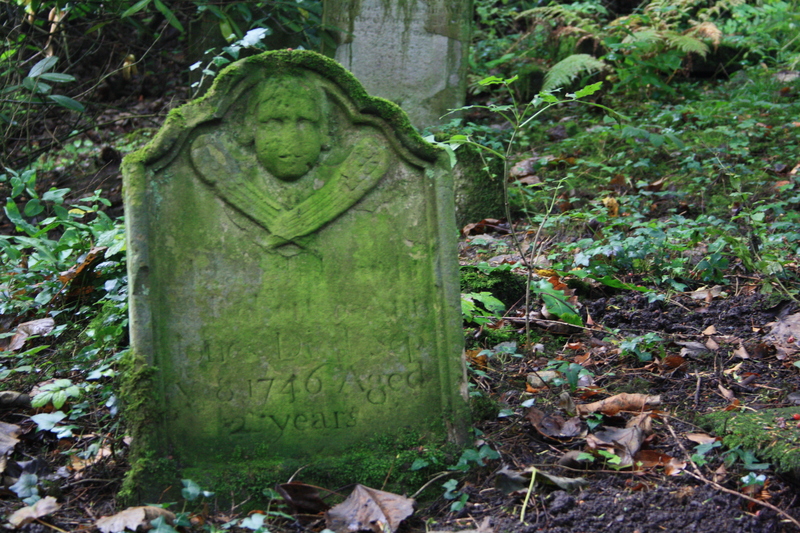 Very sad when you think someone may have reused a grave stone for their own needs.